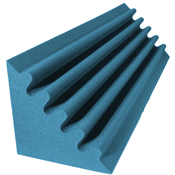 Reduce noise and add a little style to your recording studio at the same time with corner trap studio foam. This acoustic treatment allows you to keep a room quiet from floor to ceiling and corner to corner for the best acoustical treatment around. 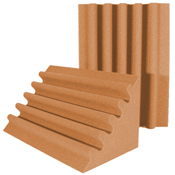 Corner trap foam is an affordable upgrade that will improve the quality of your recordings considerably. Soundproof Cow is the only place online you’ll find the Udderly Quiet™ family of professional-grade studio foam. Designed to stand up to years of abuse in busy studio settings, our products are made from high-density polyurethane that is rigid and highly resistant to rips and tears. Vertical fluting provides excellent sound absorption while contributing to the unique look of our products. Our studio wedges measure 24” or 48” long, and are available in different colors, including charcoal, pumpkin, aqua and more. While your choice of color won’t have any affect on our corner bass traps’ sound-absorption properties, we offer a variety of options to meet your aesthetic preferences and set the right mood for creating or enjoying music. Installing our corner trap studio foam wedges is easy and takes just minutes. Mount them in place using PL® Construction Adhesive, Clearco 444 Spray Adhesive or a similar product, or simply leave them freestanding for maximum flexibility. Corner trap studio foam allows you keep a room quiet and absorb a lot of sound so you not only get the perfect acoustical treatment, but you won’t disturb the neighbors either. Corners are a common trouble spot in loud environments — long, low frequencies tend to get stuck there, causing unpleasant reverberations and a phenomena known as “one note bass” where the pitch of deeper instruments is obscured. Adding a set of corner bass traps prevents these and other audio quality problems. Corner trap studio foam isn’t just for recording studios, however. You can use corner trap foam to add to the peace of mind that you are controlling and reducing noise in a number of spaces, home theaters and small enclosures for noisy equipment. If you’re serious about sound quality and noise reduction, an investment in corner bass traps is one of the best you can make in terms of overall value. Our corner trap foam wedges are sold in convenient packs of four or eight, making it affordable to quickly soundproof an entire room. Place your order online today for fast shipping. 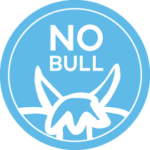 For more information about our studio-quality corner bass traps, check out individual product pages or contact a Soundproof Cow representative directly by phone or email.